Thank you for visiting Lincoln Tree Service. Before we present all the services our company offers, we would like to express our pride in being a member of the Lincoln-Beatrice business community. It is certainly an honor and a privilege to service the great residents of these two cities. With all this said, you have come the right place when you need tree removal, tree trimming, stump grinding, and all other tree-related services. We have all your tree needs covered. 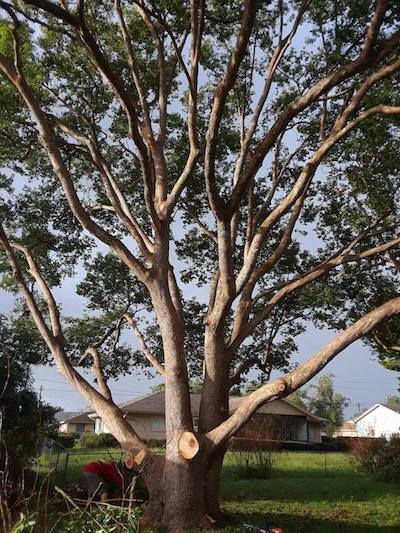 We are an organization of tree arborists and specialists having an overall consolidated 47 years of knowledge and expertise. Established in 1997, we are family operated. We began with only one truck and a Stihl chainsaw. Today, we operate a fully staffed and equipped tree care business that was built the old fashion way - from the ground up. 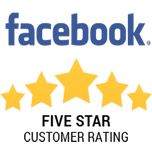 We deal with each customer like it was a close relative, and we are privileged to be a proud member of the Lincoln-Beatrice business community. We are honored to provide a complete client satisfaction promise coupled with affordable tree care prices. We work with the best equipment in the area - our equipment is virtually the tools of our tree profession. From our Stihl chainsaws to Vermeer and Morbark stump grinders, most of our hardware is newer, appropriately serviced, and due to our loyal customers, gently broken-in. When it comes to more extensive jobs, we use our heavier equipment, such as lifts, dump trucks, etc. as well as on every project one of Vermeer chippers. With the aid of this equipment, we have the ability to take on significantly more substantial projects (as well as much larger trees) versus many of the tree businesses within the metro area. 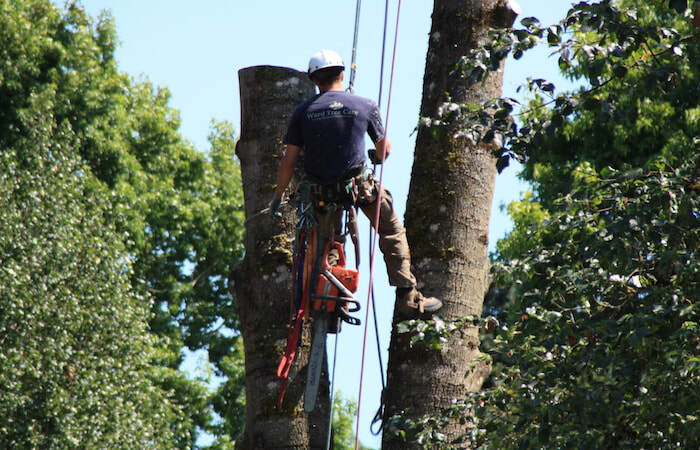 With all this said, many of our clients' asked that we not use our equipment due to possible damage to their landscape; therefore, we often perform the bulk of our tree trimmings and removals using a climber in a safety harness with two to three ground crew members. Further, there are circumstances when our equipment cannot be accommodated on client's properties, such as near structures or backyards; in these cases too, we just merely climb the tree to perform our work. 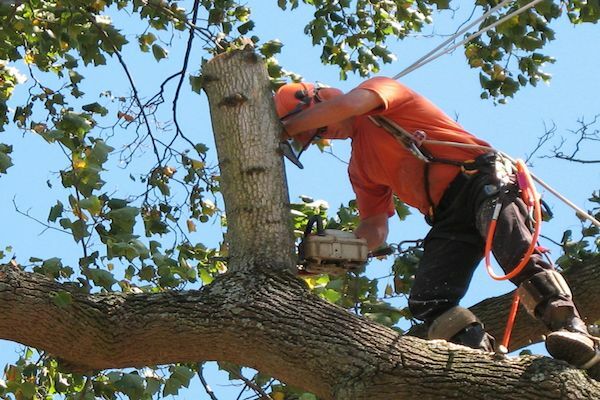 We are one of the few tree companies completely able to perform all of our services with no more than a few chainsaws and climbing harnesses. ​We service all types of clients and properties: commercial, industrial residential, real estate investment properties, and large commercial/residential property developments. Our​ services are scalable to support these diverse property types and customer requirements. Regardless of the type or size of the project, we offer complete customer service satisfaction guarantees. 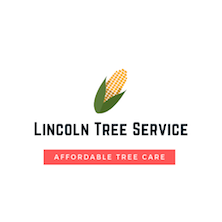 We take great pride in being one of the most professional tree care companies in Lincoln NE. 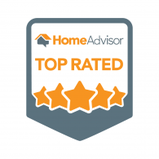 Not difficult in and of itself, customer service does take consistency and discipline in treating our customers as we would like to be treated ourselves. This means complete communication, whether it is pre-quote, during the estimate process, during the actual performance of the work, or after the work is finished. 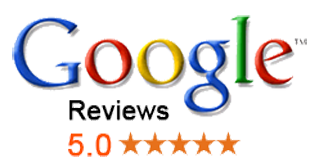 We know if we provide this type of customer service, each and every time, our clients will recommend us glowingly to their friends and family. Listed below are summaries of our services. We offer more additional information about each service on our individual services pages accessed by clicking on the Services menu item above. It is unfortunate but trees have to be cut down for a many different reasons. It may be as a result of storm damage, disease, a risk to property or for landscape aesthetic reasons. Powerful thunderstorms commonly damage trees making them hazardous as well as unattractive in your landscape. Disease, such as fire blight, can trigger them to die or otherwise be unhealthy and unattractive in your landscape. Trees that are overgrown or improperly planted in terms of location around buildings can cause problems, like an excessive amount of shade preventing grass growth or threatening damage to property structures should there be a storm. Homeowners should be aware that most insurance policies will deny damage claims if the tree was making contact with your siding or roof. We are experienced in eliminating trees both safely and affordably, regardless of what the reason is for their removal. Getting rid of a tree isn't difficult. Having said that, it this does require expertise, knowledge, competency, and preparation if the tree is oversized, is in an challenging area challenging, and/or is near buildings. Despite any of these situations, we can economically and professionally take down any tree, and for any reason. Our tree removal process begins with having one of our team members coming to your home or business location to assess the tree(s) to removed. During this appointment, we will talk about alternatives, such as can the tree be taken down without large equipment, what is the access, do you want the salvaged wood or would you like it hauled away, etc.). At this time we will provide you with a verbal estimate. Following this appointment, we will send you a written estimate along with our license & insurance declarations via email. From there, our scheduler will work with you to arrange a time for the work to be completed that is convenient for you or your business. 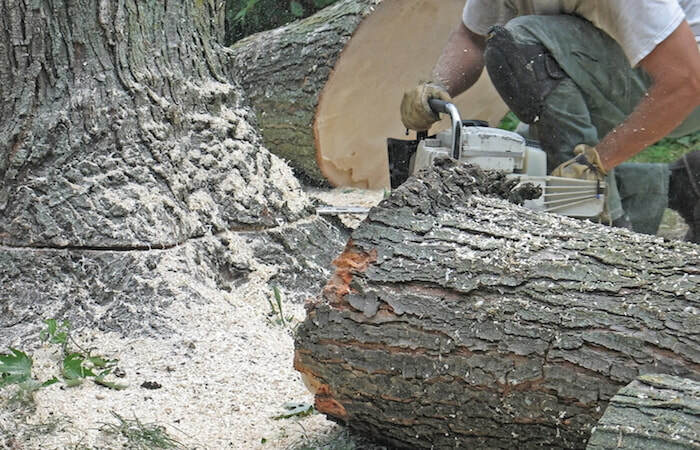 Our tree removal service includes fully removing the tree down to a stump, wood eliminated or stacked, limbs and branches got rid of or chipped, and a complete clean-up of the grounds around where the tree was removed. Our workers, which consist of a principal tree cutter and ground crew of 2 to 5 team members which clean up the area where the tree was eliminated, will work safely and efficiently during the entire tree removal process. Our chipper will be located on the street nearest to the tree and will be utilized to deal with small branches and other tree debris. It is our promise that when our team leaves, the area around the removed tree will appear as if we were never there. Additionally, most of our tree removal jobs can be completed in eight hours or less.​ We try to be the "tree removal service near me" company. The major of trees in landscapes and yards should be trimmed every 3-5 years. 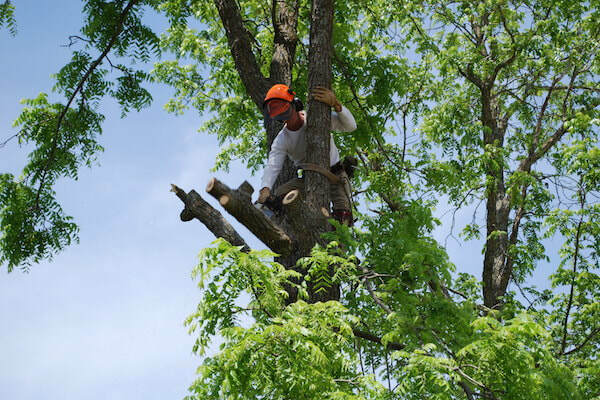 For larger trees, a professional is required due to the necessary equipment required to reach higher up in the tree as well as to cut larger limbs. Untrimmed and overgrown trees are an eye-sore and detract from your landscape as well as home’s curb appeal. Further, storm-damaged trees are also unsightly in a yard – have them trimmed up so they can continue to add value to your property. Well-trimmed and managed trees are an asset in any landscape and to any property. 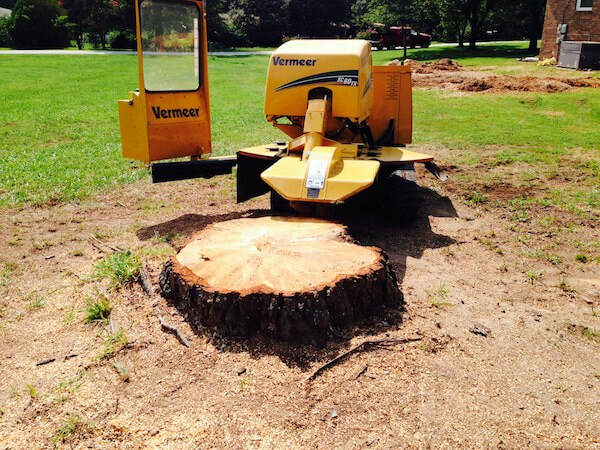 In addition to tree removals, we also optional perform stump grinding and removal services. Stumps in yards and landscapes can be both eyes sores as well as potentially hazardous. Tree stumps can harbor insects, such as ants , beetles, wasps, and other pests that can be dangerous to your and your pets. Further stumps in your lawn can make grass cutting more difficult. In general, having tree stumps on your property and in your landscape is not desirable. if you don't have them removed right after the tree was cut down, consider having them removed shortly thereafter. Alternatively, we can physically remove the entire stump and main roots systems by digging it out of the ground. However, this requires heavy equipment to be brought on to your property and can cause damage the landscaping and lawn, depending on the location of the stump. Physically removing a stump is generally only necessary when foundation work will be done in the area, such as for a swimming pool, building foundation, etc. Regardless of whether you want a stump ground or remove, we can accommodate any request you have relative to tree stumps. Our team of professionals does an excellent job at minimizing the impact of stump removal or grinding to the surrounding areas. Storm damage to trees can cause an acute situation for property owners. Further, electrical power restoration and building repairs generally can not be made until damaged trees are cleared away. For these reasons, we works 24x7 if necessary to enable property owners and power companies to begin their restoration efforts. Small tree damage can certainly be performed by homeowners. However, large scale damage generally requires a professional tree care company that has the manpower and equipment to make short work out of these messy situations. Leave this work up to the pros, who have the experience, skills, and gear to better handle this large-scale work. Our team provide emergency services 24x7 so you can be assured that your home or business will quickly, efficiently, and affordably be restored. Large spread tree storm damage can tax an entire community and its resources. That is why, as a proud and faithful member of the Lincoln business community, we go above and beyond in helping our fellow residents clean-up the mess that midwestern thunderstorms can cause in our area. Our emergency tree removal service is there to support the Lincoln community when they suffer large-scale tree damage where only quick, efficient response can rectify the situation safely. All of these services can be provided when we are at your home or business trimming or removing a tree. As a matter of fact, we offer discounts on multiple services so please keep that in mind when you schedule your free tree care estimate.